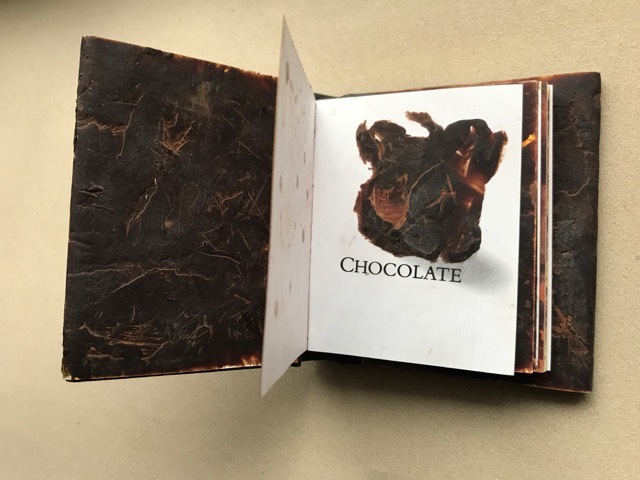 Many thanks to Marisol Slater & all her colleagues at the Chocolate House DC for hosting the DC Chocolate Fest last month, & to everyone who participated in our wild presentation. Speaking of which, besides traveling to DC, we’ve been developing what could very well be the most ambitious & exciting project in all of chocodom — perhaps the biggest & greatest (among other superlatives) chocolate show on Earth! Confirmation bias or just the facts? Details coming soon. 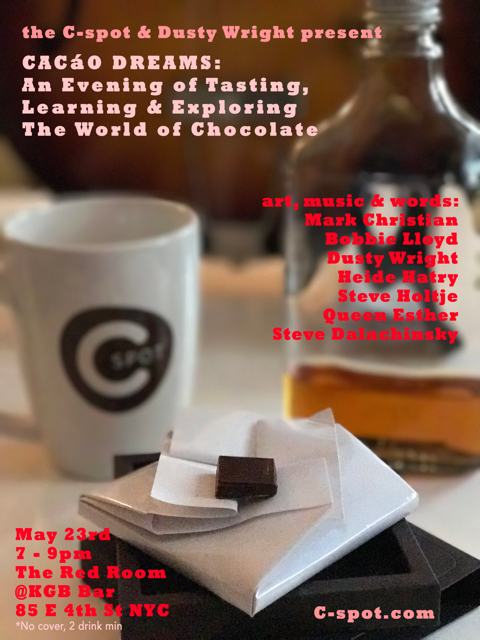 Building on our experience with chocolate & spirits, we’re joining some eclectic forces for a salon this Tuesday. No gobsmack pigout or fuzzy-academic choc talk, this the once (& future?) chocolate setting. Who knows, maybe a roadshow in the making. Come thru if you’re in the area. CBO Bobbie Lloyd of Magnolia Bakery fame confects a piece de resistance / coup de grace dessert with the same dark chocolate. In between each stage of our chocolate dreams — entertainment to cleanse more than just the palate… such as an original chocolate-inspired piece from critically-acclaimed poet Steve Dalachinsky; new music from “Afro-Americana” Queen Esther & singer-songwriter Dusty Wright; a special limited edition “chocolate book” by artist Heide Hatry (literally / figuratively, a book to read & eat); & the world premiere of a new short classical work by composer Steve Holtje. Puerto Rico the new Venezuela for chocolate? Criollos — plural — abound all over it.